I survived! I don't have a headache or feel as if I was run over by a bus. No one cried when we made a craft today or for whatever reason someone usually cries. I am the BEST teacher in the world (and I am sure you are too!) and we had the greatest Valentine's Day Party EVER!!! Don't you love how easy it is to make a 1st grader happy??!!!!??? 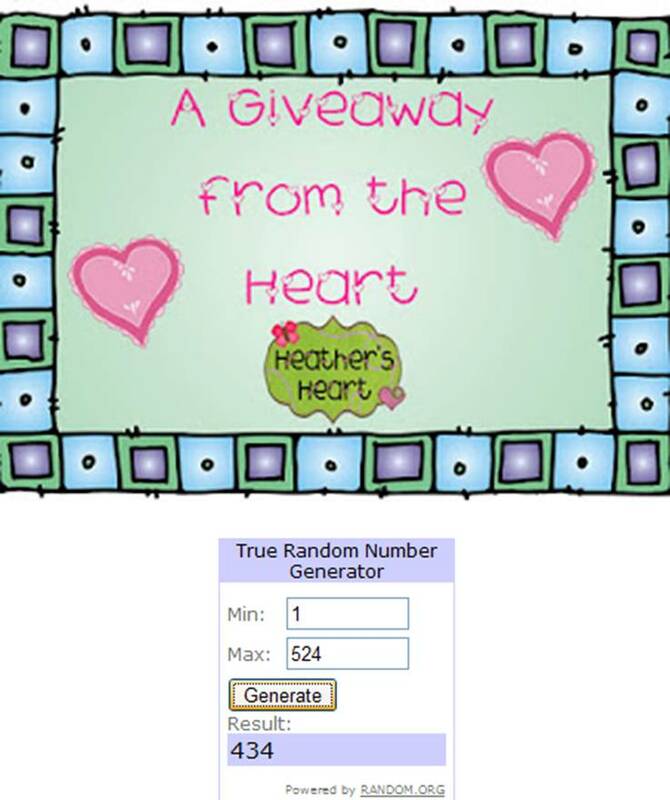 Today is the day to announce the winner of the Giveaway from the Heart. First, I am blown away by the number of heart notes. I want to have more giveaways because I LOVED reading each one and I have been so excited to check my email! I truly feel blessed by each one of you and am honored that you would stop by my blog. I wish I could offer a shirt to each one of you...but Carla (Sewing Sassy) would kill me or quit and I have to have her teaching next to me...I would be lost in my Back 40 boat without her in it! I also want to thank 2 of the most AMAZING bloggers ever....Rachelle and Cara ...for bringing some sweet followers to my blog. You ladies are precious blessings! So, here is our winner!! I love, love, love your blog!!!! I discovered it about a month ago. Since then you're definitely on my "favorite" list. 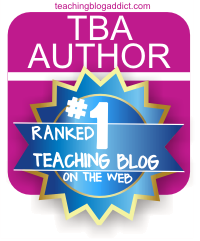 I've share your blog with my teaching team and they now LOVE you too!!! I really can't brag on you enough! You have such a generous heart to share ALL your incredible ideas and constantly creating adorable centers and then posting them FREE for all of us!!!!! You truly are a blessing to me!!!!! Thank you, thank you, thank you. P.S. I don't have a blog yet, but if I did Your blog would most definitely be list as one I follow and my favorite! My eyes literally teared up as I read this. I will be emailing you soon Tammy! I hope you can use it too! Right now, I want you to think of a child in your class﻿room or a child at your school that might be a "toughie". This could be a child who is never absent but you wish they would be or this could be a child that sometimes does something that annoys you. If all the children in your class are perfect, think of someone who might need some extra kindness in their life. Tonight before you go to bed write that person's initials on the palm of your hand. Whenever you glance at that name stop and pray for that person or if they are near you give them a hug, a kind word, a pat on the back, or even a smile. Think and realize that wherever you go tomorrow, a piece of that person goes with you. You can either see that person and embrace them in a positive or negative frame of mind...it is a choice we make everyday. You carry each person you know with you....you make them a blessing or a burden. Sometimes the people who are the hardest to love are the ones needing love the most. It's so important to pray for those kiddos. We don't know what's going on at home and they need it! Aww man I am not a winner! Oh well congrats to Tammy!! I hope you had a GREAT Valentine's Day! I love the idea of holding them in "the palm of your hand" and praying over them . . . I always advise people to find a way to make EACH one your favorite! Thank you, Heather, for your inspiration and influence. Oh, and congrats Tammy! Such kind words you wrote. What a great idea to constantly look at your hand and give that child a passing thought or words to God. I don't have a child like that in my room right now. . (you never know what tomorrow will bring!) but there are several in our building. I'm going to share your words with them. It really could help. . .and if nothing else, maybe bring some peace to the teachers too. Thanks for a wonderful blog. I enjoy reading it. I love this idea Heather! The kids that we struggle with are usually the ones that need our positive thoughts the most. Thanks for the reminder. Heather thank you for ALL you share with us! I carry my "toughie" around in my heart 24/7...love the idea of the initials on the palm. But on the other palm I will put an "H" for YOU because you are such a blessing and I am constantly checking your blog for any updates! Hi! Glad you had a great Valentine's Day. My kids were PRECIOUS today with their little Valentine's treats. I love them! Love your idea to write the initials on your hand. Great way to send positive thoughts their way. Too cute! Thanks for sharing. Enjoy your Valentine's Day! I have a pimple on my face that I've named after one of my students and a few gray hairs too...does that count? Just kidding - you are so right and I will say some prayers for my dear little "M" because she and I both need them. Big hugs to you, my dear!!!! I just want to say thank you for always sharing your kind words and positivity! You are truly a beam of sunshine making the world a brighter place one day at a time. I so appreciate your passion and determination to make a difference in the lives of every single one of your students. You are an inspiration! On another note, I tagged you in a fun little tag game in an effort to get to know more about you. 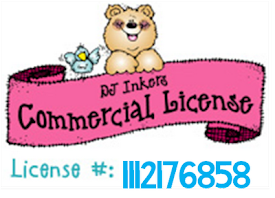 Hop on over to my page to check it out! Thank you for all you do to inspire the young hearts and minds of our children! You are touching the lives of many children through your generosity. Many times the children who act out are really just crying out for love. I must say I am pretty lucky; my kids are all pretty good even the ones who are challenging. Thanks for all of your positive outlooks on your blog. I am soaking up all of your great ideas and comments on looking at teaching as a ministry, I truly believe you make me a better future teacher as I am looking for a job currently :) I really love reading your blog! What a great idea. Everyone has one of those children. What a neat way to remind yourself that that child probably needs your love more than any. I dito what your winner says about you!!!! "You carry each person you know with you....you make them a blessing or a burden." I love this. I read your blog regularly and look forward to new posts. Since I am a new follower, I go back and read past posts and I share with the teachers at my school. Your attitude and love for teaching and your children really shine and you are a light in the lives of so many. 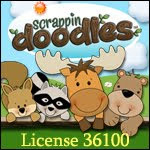 I love your critter scramblers! I have some kiddos in my room that are ging to LOVE these almost as much as I do. Thanks Heather!! Heather, thank you so much for all your thoughtful insights, and especially for this reminder to pray for our 'tough' kiddos. I needed that reminder! I've written a certain student's initials on my palm already tonight. I just LOVE you so so much! I appreciate so much being on your hand today, I needed it. I know exactly who will be in the palm of my hand tomorrow... THANK YOU FOR THIS! I am ALWAYS thinking of you and cant wait to get home to read your newest post. I am so glad we have found each other. I definitely know you were brought into my life for a reason! LOVE your blog!! Thanks so much for sharing your ideas on word sorts:) and for following my blog. I'm humbled and uplifted by your idea. I'm going to try it today. After the day I had yesterday, something's gotta give! Thank you!! I may have felt like I was run over by a bus by the end of the day, but my kids also had a very special Valentine's Day and didn't come in too sugared up on Wednesday. lol! I laughed when you asked me that-- my kiddos don't cry during crafting. Why do they cry for you?! And thanks for dubbing me the Crafting Queen ;) I always knew I was from royalty! haha jk! Your going to think I am obsessed and I am coming to terms with that! I LOVE you so much and you have no idea what your comment about holding me in your hand yesterday did for me. I did it today with one of mine and it helped me so much I ended up writing my short and sweet post on it tonight featuring..you! I love this!! This is so inspiring and a reminder to us all. We don't always know what our kids are dealing with at home and that often affects their school behavior. Thank you for sharing this!! 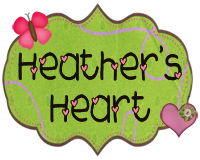 Heather - that is the most precious thing I have read in the blogging world so far. You are brilliant and God is working through you to touch their hearts. How lucky they are to have you!! You have definitely challenged me to do it and I am grateful. Come check out my blog -- I am a brand new blogger and have a lot to learn but would love the input. I am so thankful for you! I just came to your blog from TeacherWife and WOW! You are so creative, generous, giving and HELPFUL!! I really appreciate you sharing EVERYTHING and I've already downloaded about 10 things. I can't wait to read EACH entry and get some new inspiring ideas for my class and reading groups. My the Lord Bless you as you've blessed me! What a fantastic idea and challenge. I'm going to have to do this next week. I'm working on my own challenge for next week. Check me out on Sunday. 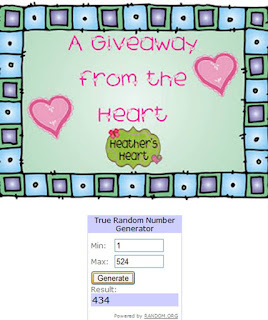 I am your newest follower Heather - saw your comments on my blog and had to come check yours out, too! 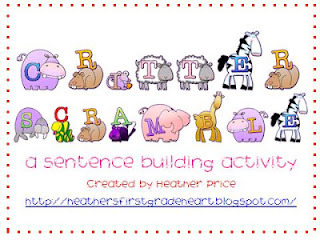 Love your Critter Scramble! Awesome! I look forward to reading more of your posts! Heather- Love your blog and thanks for sharing your ideas. I have a question about how you made the lined paper. Is that a specific font you used. I have several school fonts that make lines, but yours is way cool. Best post ever! We all have those students who are difficult to love. What a wonderful way to make sure to love them when I'm sure they need it the most. Thank you for the freebie and the challenge!